A friend of mine, who blogs for Enemy Slime, made a list of his favorite survival horror games for Halloween. I thought I knew exactly what was going to be on the list but there was one I game I wasn’t familiar with; Deadly Premonition. Michael’s review made the game sound hilariously bad, so I had to hunt down a copy of the game. 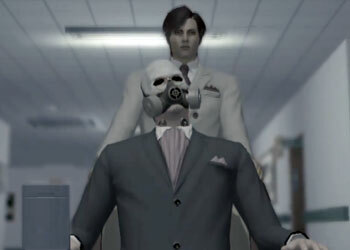 Deadly Premonition stars Agent Francis York Morgan, of the FBI. You can call him Agent York. 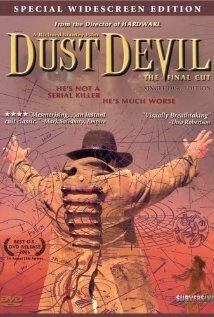 He’s brought to the small town of Greenvale investigating a brutal serial killer. On your way into town your car crashes and you find yourself stranded far from the highway and wandering through the woods. All you want to do is get to town but you encounter ghosts along the way. You’re not sure if it’s the crash effecting you or if the ghosts are really there. Once out of the woods Agent York meets the hostile town Sheriff and his attractive deputy who will help you throughout your investigation. Agent York uses a combination of investigation and psychic visions to solve these mysteries. Wandering through the town and the surrounding areas you investigate as more paranormal activity pops up leading you to question what is really going on. I will first say, they ripped off most of the story from Twin Peaks. Agent York even talks to someone named Zack the whole time. In Twin Peaks, Special Agent Dale Cooper talks to Diane all the time. You never meet her in the show. You never know if Agent York is taking notes for someone back in the office or if he’s just nuts. The story has the same small time environment, the same set up of a murder and the same weirdness of Twin Peaks. Eventually the story does diverge but it’s just so damn obvious. 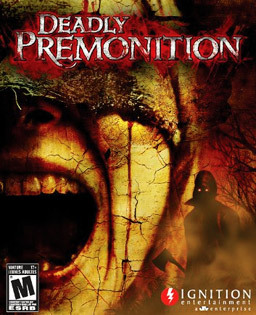 Deadly Premonition is actually an old game, they started working on it in 2004. It wasn’t published till 2010 though and is toted as the most polarizing game to be published. People love it or hate it. There are moments in the game where you question what the developers were really trying to accomplish but they just add to the game’s charm. I think that people were expecting a serious game. The developers realized they weren’t making a great game with an original story and so they made it funny and quirky. They took the game to that next level, on purpose because they knew it wasn’t going to be the best or greatest. That decision made this game worth buying. I am really enjoying this game but not because it’s scary. It does have a few good moments so far but mostly it’s been hilarious. The dialogue is weird and often characters don’t make total sense. The voice acting is bad, very cheesy. The side missions are ridiculous. At one point I found myself looking for the Sheriff’s friend Arnold so he could finish his work out routine. Turned out Arnold was the name of one of his weights. I found it and reunited Arnold and Sylvester. Did I mention there is a driving portion? You get to drive around town and outside Greenvale. It’s rather hard to figure out where you are supposed to go, so I often referred to the map. Honestly, if you didn’t drive the game would take forever. I enjoyed these parts. They are way easier than Grand Theft Auto. You are still responsible for getting gas, which is amusing. You car makes this annoying ding when you fall below 6% on you gas tank. The other characters you meet are also weird. Here is Harry Stewart. He’s an eccentric wealthy resident of Greenvale. He never speaks to anyone but his assistant. Anyway, play the game. I am enjoying it. I feel like I haven’t even scratched the surface. I may have to play through several times. It’s available on all XBox 360, PS3 and PC. Here is a link to some cut scenes from the game that made me laugh and love this game. Here is the game trailer.